Forgot to take a picture before mailing, but Deborah has documented all incoming pieces on Flickr. 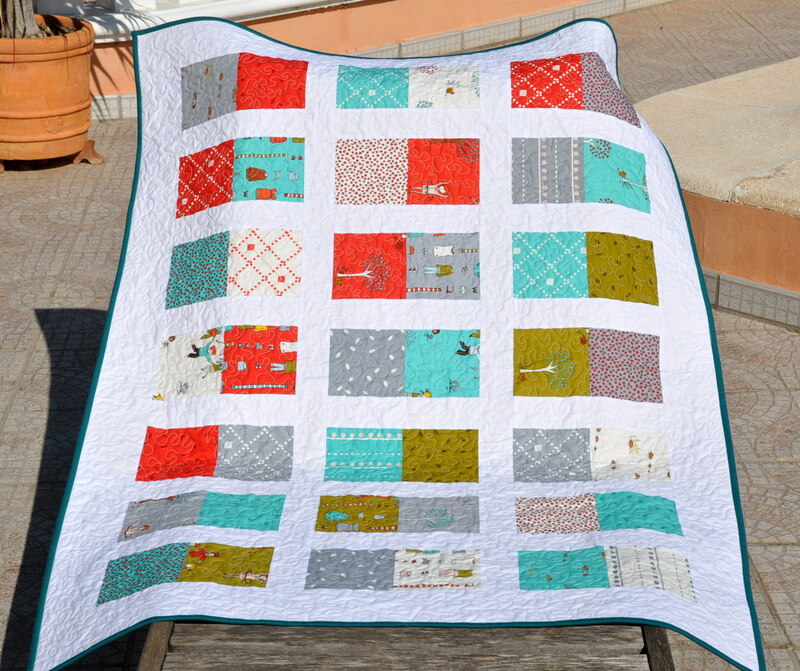 The other good news is that I have finished the quilt Dreaming of Q. 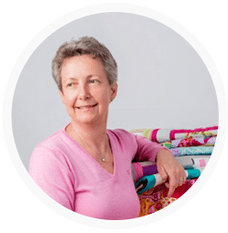 All colour fabrics are from the collection Little Qpples by Moda. I have decided to go for a light blue backing and a teal binding. Even though this is a very simple design, I really like – in combination with white makes it very fresh and I am starting to of dream of SUMMER !! Or spring at least. Listed on Etsy and Dawanda. 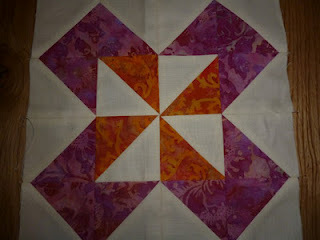 This entry was posted in patchwork, quilts, small projects and tagged baby quilt, block.